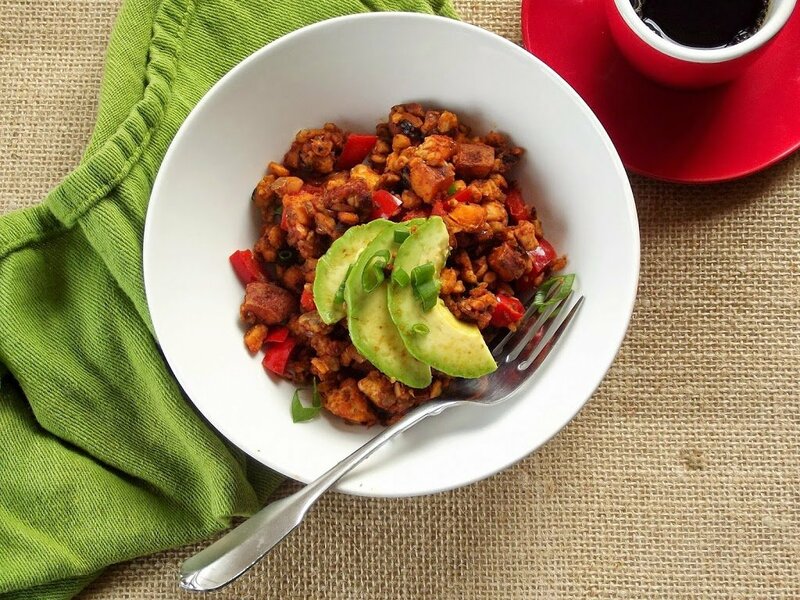 This smoky, flavorful breakfast tempeh scramble is made with sweet potato chunks, red pepper and avocados. Serve on it’s own, or wrapped in a warm tortilla! Anyhow, I’m happy to say that I’ve come quite a long way this past year. Just this week I joined Twitter. I have no idea what to do with Twitter yet, but I’ll figure it out. I’ve even got a fancy button over in the sidebar, which I added to my page all by myself, really making me feel like a tech superstar. Click on over if you’d like to connect, and I promise I’ll eventually figure out what to do and share something good. Okay, so this tempeh scramble has nothing to do with social media. It’s delicious though. I’ve always thought of myself as a sweet breakfast type, but the more savory breakfast recipes I develop, the more my taste buds seems to sway towards that direction. I blame my confusion on eggs. After years of disliking eggs and I suppose as a result thinking savory breakfasts weren’t my thing, I finally realized that when eggs are out of the equation, a hearty breakfast wrap or scramble (or in this case both) is delightful. I had some version of this particular savory breakfast in mind for quite a while. Originally I thought it would be a tofu scramble though, probably some variation of this recipe, but with sweet potatoes and smoky seasonings. At some point I realized how much I love smoky flavorings along with tempeh, and this recipe resulted. I’m very happy with the resultant combination of flavors and textures. 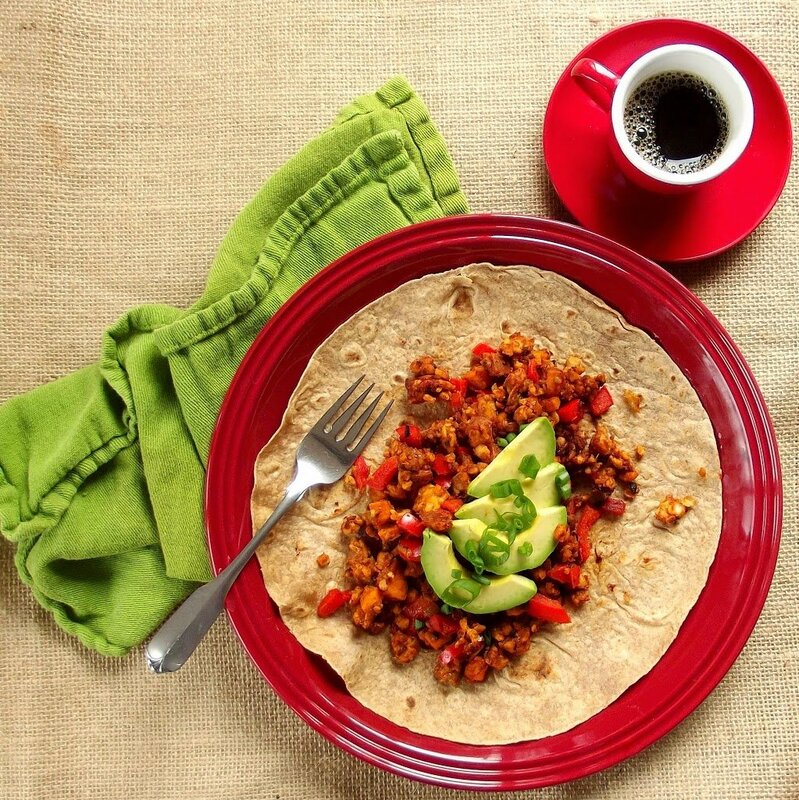 We ate our tempeh scramble wrapped up in tortillas with avocado and hot sauce. If you do go with the wrap, please do include at least one of these toppings, otherwise I think it would be a bit dry. You could also eat it right out of a bowl. 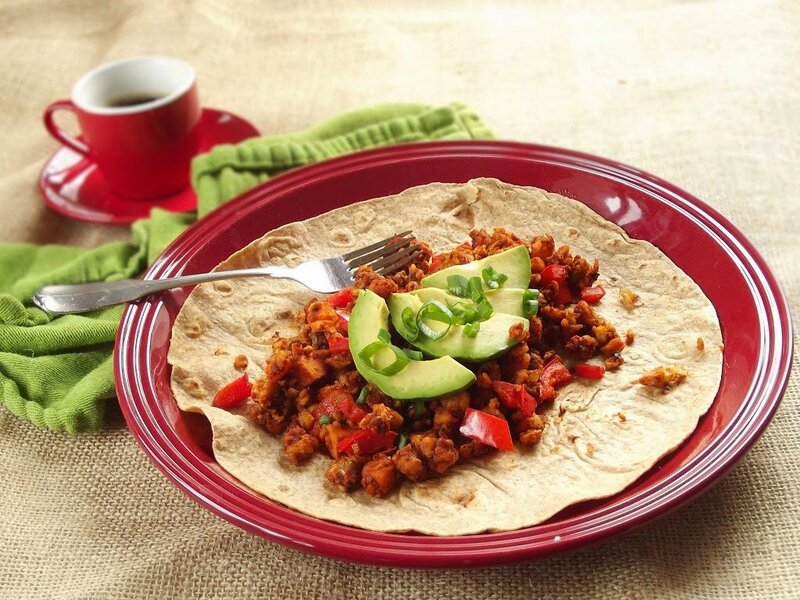 This smoky, flavorful breakfast tempeh scramble is made with sweet potato chunks, red pepper and avocados. Serve on it's own, or wrapped in a warm tortilla! Heat olive oil over medium heat in a large skillet. Add sweet potato and sautee until lightly browned, about five minutes. Add onion and continue to sautee until softened, about five minutes. Add garlic and sautee another minute. Add tempeh and sautee until browned, about five minutes. You may need to break up some bits of tempeh with a spatula. Add pepper, soy sauce, cumin, paprika, maple and lemon juice. Sautee about two more minutes. Serve in tortillas or in bowls. Top with avocado, scallions and hot sauce. Oh man, I LOVE tempeh scramble! Thank you! Yeah, I tried it plain and as burrito, and burrito was definitely my favorite. I might try it on toast as well…next time! Love this recipe. It’s a keeper. Thanks! Awesome! Thank you so much and enjoy!!! I’ve been experimenting with tempeh a lot lately, trying to figure out the best flavours to match it – definitely going to try this next, it’s making my stomach growl just looking at it! We had some friends ’round and served this as a ‘diy buritto’ night with various toppings (inc the sweet potato nacho cheese!) amd it was amazing. Everyone loved it!! 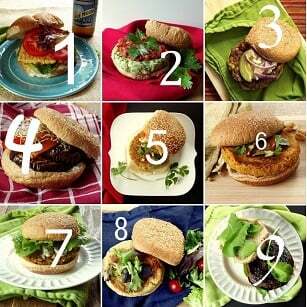 Excellent and super easy! 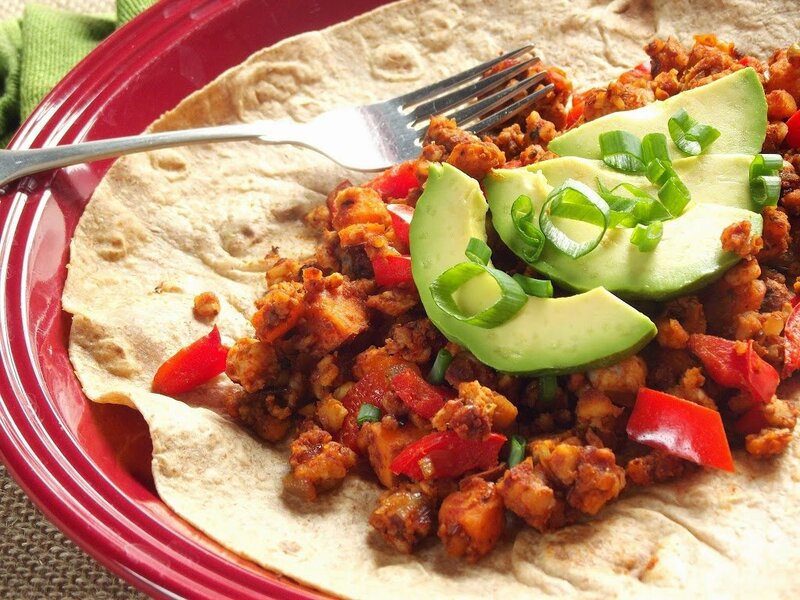 I love a good DIY burrito night, and this sounds like an awesome addition! So glad you all enjoyed it. Thanks Joey!!! Just wanted to thank you for this recipe. I made it this morning and it was wonderful. The cool avocado slices on top of the warm scramble sends it over the top. I also added one cut up field roast Mexican chorizo sausage and that gave it more flavor and texture. Best to you. I’m so glad you enjoyed it! 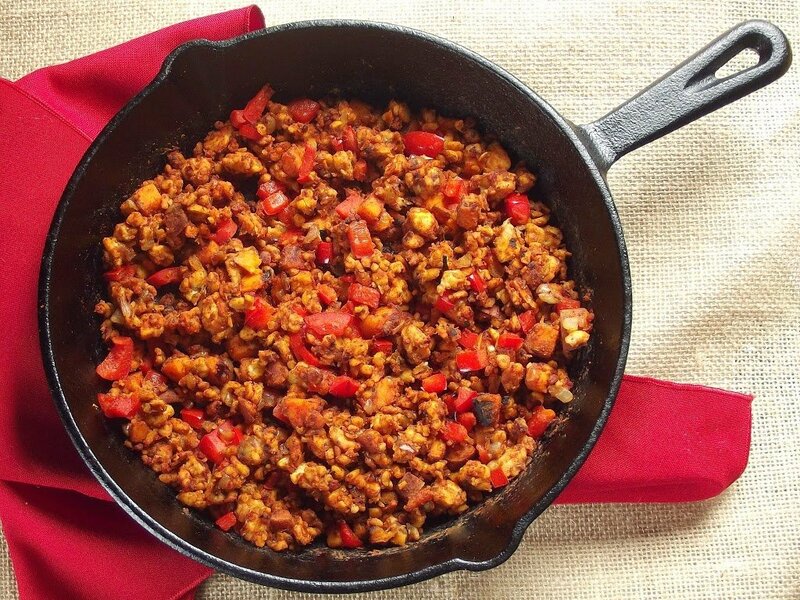 I love Field Roast Mexican sausages and I bet they were great in this! I’ve been making this for years. It’s become a breakfast favorite and my meat lovers enjoy it, too. I’m so glad you’re enjoying it! Thanks Lisa! That’s so awesome to hear!! Thanks so much Simon!